Want to turn your AK or SKS into a cost effective deer rifle? 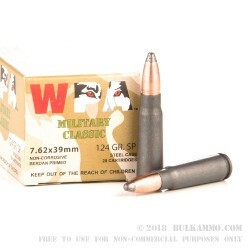 Then you need these Wolf 7.62x39mm soft point cartridges. These rounds come in boxes of 20 and fire a 124 grain projectile that delivers high-diameter mushrooming in midsize game for a quick kill. 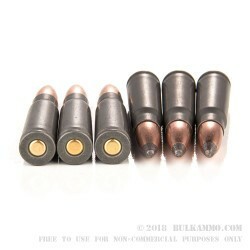 They use a relatively simple design that keeps the cost of the ammo low enough to use for target shooting as well. 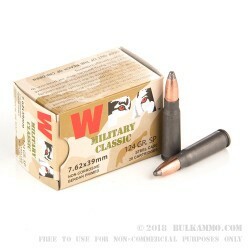 This ammo is made in Russia using bimetal jacketed bullets and non-reloadable steel cases, both of which impart magnetic properties to the cartridges. It may not be permitted at all indoor ranges. The cases are polymer coated for reliable cycling. Tried the Wolf 7.62x39 124 soft point ammo. 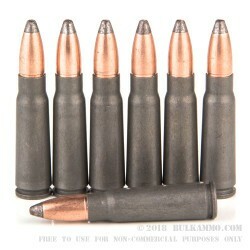 The price I paid was good as was the ammo.